Patricia Shelley Bushman (BA ’78), of Overland Park, Kan., was only 4 years old when the entire U.S. World Figure Skating Team died in a horrifying plane crash in Brussels, Belgium. It shattered the close-knit skating world and took the lives of several competitors expected to excel in the 1964 Winter Olympics. 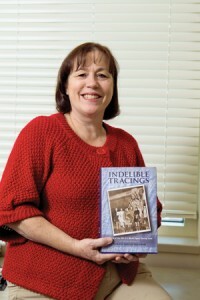 In her book, Patricia Bushman commemorates the ill-fated 1961 U.S. figure skating team. Even as a child Bushman—also a competitive skater—had a sense that the 1961 team had been special and needed to be remembered. Thirty-four athletes, coaches, officials, and family members had eagerly boarded their flight in New York City on Feb. 14 to participate in the World Championships in Prague, Czechoslovakia. The next day Sabena Airline Flight 548 crashed near the Zaventem Airport in Brussels, killing all 72 in the plane and one person on the ground. The loss was so profound the championships were canceled. Five of the skaters had practiced at the Iceland rink in Paramount, Calif., where Bushman also later skated. A plaque inside the rink commemorates the team and the most devastating accident in U.S. skating history. By the time she was 10, Bushman was skating six days and 36 hours a week at Iceland, using a discipline that would eventually make her a champion on ice. She saw the plaque nearly every day of her life for 10 years and realized it represented a cross section of the U.S. skating world. On the team were coaches who had been in the sport for decades and one who had coached the first female to win an Olympic medal. Ten years after the tragedy, Bushman was honored to win the Rhode Lee Michelson Memorial Trophy, named after one of the victims who trained at Iceland. Bushman frequently thought about the team and wondered who they had been. “Skating had been my life, and I knew it had been theirs,” she says. 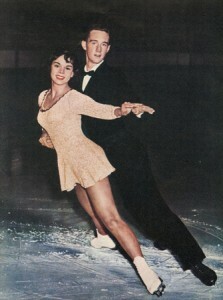 After her competition career ended, BushmanÂ kept a professional hand in the sport by writing the narration for many skating events, including the PBS skating show An Evening with Champions and a 25th-anniversary tribute by ABC to the 1961 team called Celebrationâ€‰.â€‰.â€‰.â€‰America on Ice! Additionally she was a research consultant on the film Rise, a documentary about the 1961 team. Bushman’s background provides her with a unique perspective of how the disaster affected skating. The United States not only suffered the loss of skaters who would have participated in the Olympics, but also the fathers of 17 children—and both parents of a 9-month-old boy. Two of the 73 people killed in the plane accident, siblings Bill and Laurie Hickox, were slated to compete together in the World Championships. Bill, 19, had just entered the Air Force, and Laurie, 15, was the youngest on the team. Eight years ago Bushman decided to learn the stories of the skaters and supporters on Flight 548. By using her contacts in the skating world, interviewing hundreds of people, and searching dozens of libraries across the country, she finished a book called Indelible Tracings. It describes the months leading to the championship, the joy of the athletes selected for the world team, and a look at the competition that would never happen. She also details the aftermath, including the resilience of a sports community that grieved but also established a fund as a living memorial to the team. Millions of dollars have supported skaters at many levels, including Olympic champions. The book’s publication marks the 50th anniversary of the disaster.